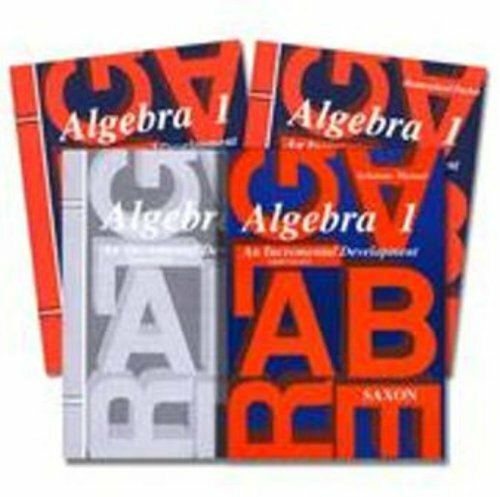 Math can be an area that causes great frustration and confusion (for adults and children) in many homeschools. This was true in my home. 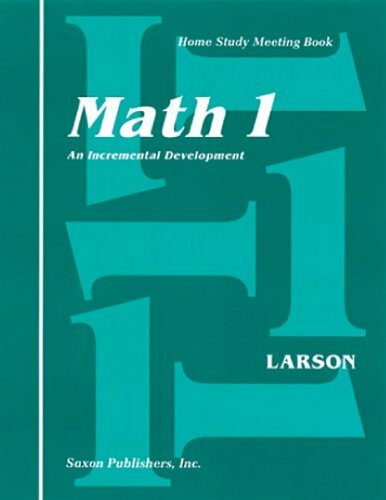 We waffled between math programs in our first few years of homeschooling, trying different textbooks, living math, and other approaches. It doesn't need to be difficult, however, with ample resources and assistance available. I am not a mathematician by any stretch of the imagination. I do not like math, but I am learning to like it more and more. I also recognize the supreme importance of giving my children a SOLID math foundation while they are under my care. 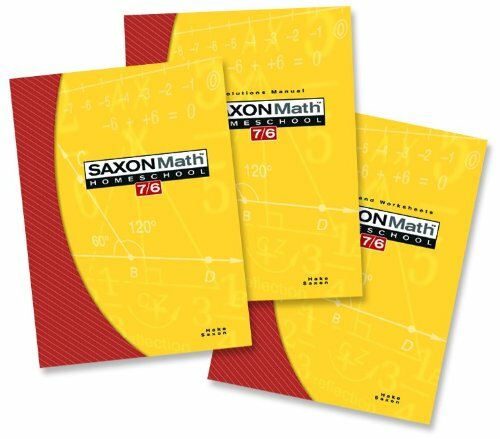 After two years of research, one year of using the actual program, and attending a math practicum, I am convinced that Saxon Math is the best option for my children (at least until their high school years). You cannot just choose a math program that everyone likes or is blogging about and hope for the best. I do not believe it's wise to let your child choose their own math program based on what they "like". Math is too important to cut any corners. You need to do your research, know your educational philosophy, and know your child's learning style. This decision took us a lot of time and effort, but it's worth it. 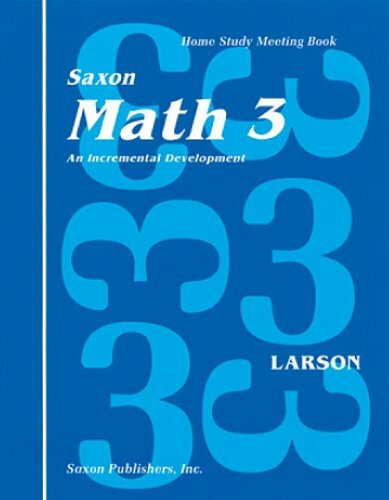 Saxon, then, is teaching us math the same way we learn the things we feel we enjoy more, in which we experience more pleasure. It teaches us what we know, it provides us types to compare, it asks us to draw out the lesson we are meant to learn, and it provides us with continued and ongoing practice. Essentially, it makes discoverers of us. For some, though, the difficulty may be in that they do not recognize that Saxon teaches this way. If that is the case, try to approach it this way for a while. Give it some time; practice. Your initial instincts will be to just tell your child what he should find when comparing the examples. Restrain yourself. Keep working through examples and asking comparison questions until he discovers the lesson for himself. Do this for several lessons. Eventually, you will find he is looking at the lesson this way himself—and he will be the better for it: he will have learned how to teach himself, which is nothing more nor less than learning how to learn. 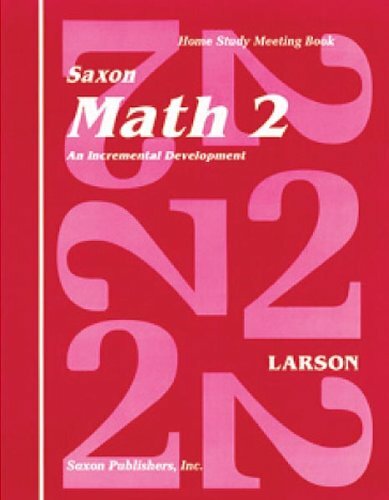 It's so much more than MATH, it is a way of approaching life and learning that the authors of Saxon have created artfully in their curriculum. 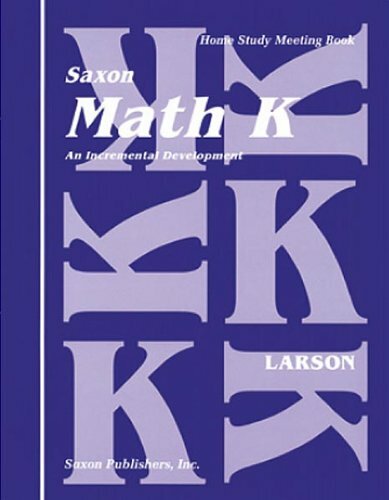 I want to share TWO Saxon stories with you - one of my oldest who didn't have Saxon from the start, and the other of my youngest - who has never known anything other than Saxon. My oldest child, unfortunately, proved to be my testing ground. She was in public school getting a haphazard math eduction until the middle of third grade. When we pulled her out, I had her doing Horizons Math, but quickly saw this wasn't working for her. 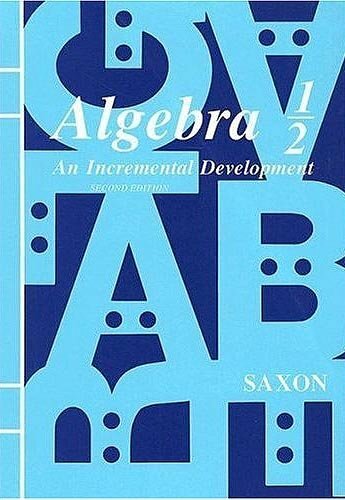 We switched to Saxon Math and used this with her until Algebra 1/2. 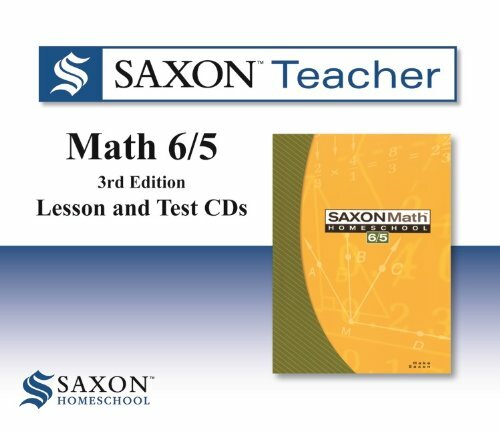 She had some success with Saxon, but I am CONVINCED that because she didn't have the Saxon foundation of drill and repetition and a very systematic way of teaching math concepts she wasn't able to keep up the Saxon pace and intense spiraling in the upper levels of math. 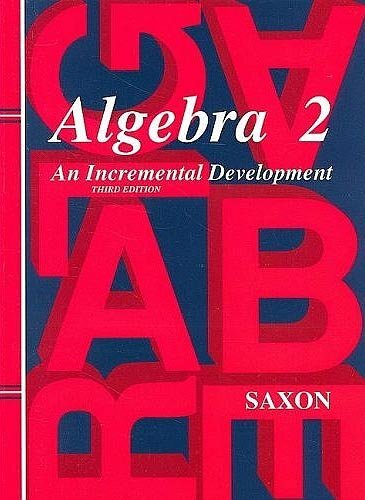 Thankfully, we found Mr D Math and she has been doing very well using this online program in high school. Now, compare this to my son. My son has been homeschooled from the beginning. 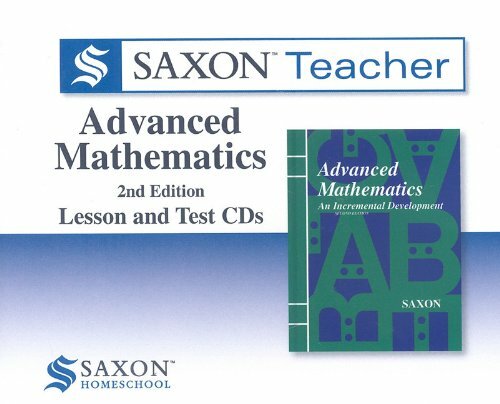 We began with the Saxon Kindergarten math program and he is now approaching Saxon 8/7. For starters, I believe he is a math minded kid. His brain is just wired for numbers. Do math EVERY day. Be consistent. Do the ENTIRE lesson - drills, lesson practice, etc... You may be tempted to do only the odd or even problems when things get tough, but resist that urge! Don't expect math to be flashy. Math is hard work. I mistakenly thought my children should be enjoying everything they did. Yes, sometimes they will enjoy math - but other times it will just be hard work they need to get through. That's OK.
Demand excellence. Once my son completes a lesson we grade it together and fix any mistakes he has made. He uses graph paper that we put into a three ring binder to keep track of all of his work. 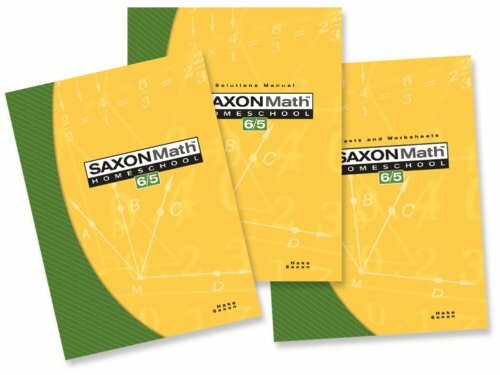 I investigated three instructional aids for Saxon math. I had heard a lot of good things about all three resources. After careful research we chose one of these resources. 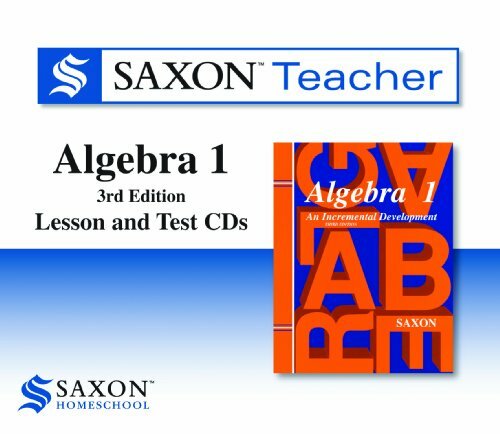 I chose the Saxon Teacher CDs because they contain the instruction for all of the lessons AND each and every practice and lesson problem, as well as test problems. 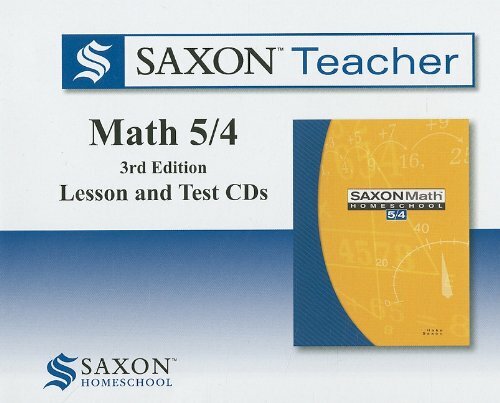 This review of Saxon Teacher proved particularly helpful. My daughter read the lesson in the book, watched the lesson demonstrated on the computer, then worked through the practice and lesson problems on her own. After I graded her work, if she had questions about problems she has missed we referred to the CDs for explanations and answers. I liked this. There was no scratching my head about how to figure out a problem. Everything we need was right there on the CDs. The CDs were an investment but WELL WORTH the investment in our math program for her. To me, it wasn't an area where I could be frugal. My son, however, hasn't needed the CDs just yet. We read the lesson together and then I will leave him to complete the problems. Next year I will give him the option of using the CDs or reading the lesson on his own. We'll just have to see how that goes. 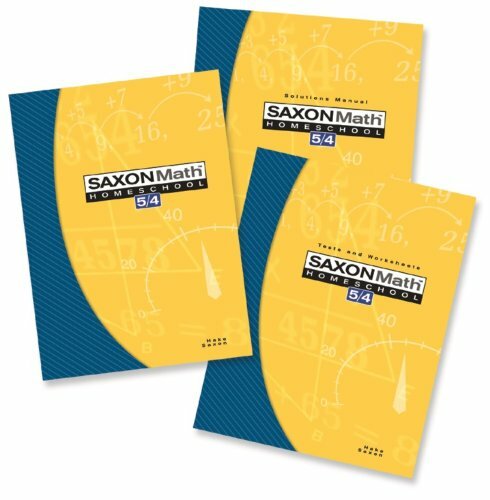 A few years ago I created a video about Saxon Math for you (at the time I had a 3rd and 7th grader). 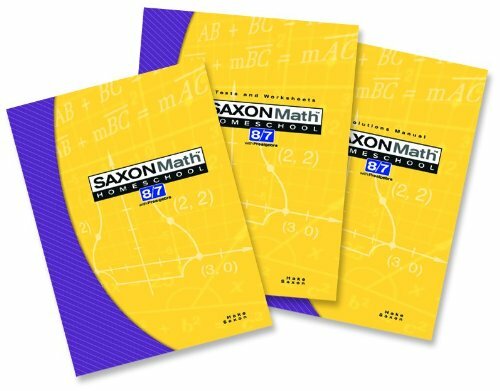 The information is still relevant today because it contains general information about Saxon and how to plan your math going forward. I have not been compensated by Saxon. These are my PERSONAL thoughts after a lot of research and reading. 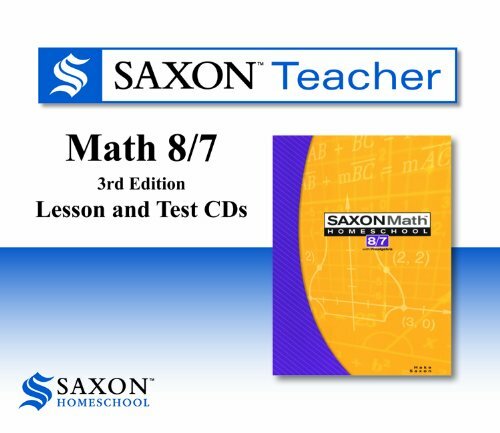 Whether you choose to use Saxon or not, math in your homeschool is IMPORTANT and deserves your time and research. It is my prayer you find a curriculum that fits your children and your teaching style/abilities. Talk to me about math. 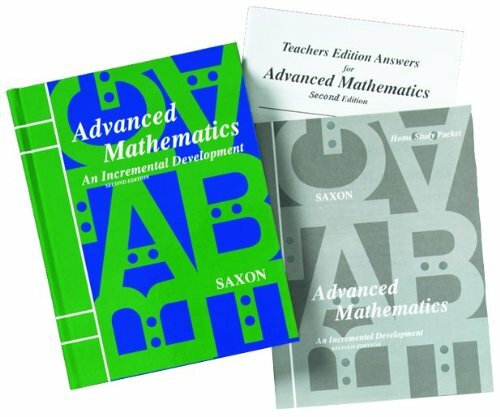 What math program do you use? Can I help you with any questions you might have? Leave me a comment below!